DUNGARVAN: 2 Mediterranean Gulls & a Ruff at Ballyneety. RAM HEAD: Mixed group of 5 Risso's & Bottlenose Dolphins. 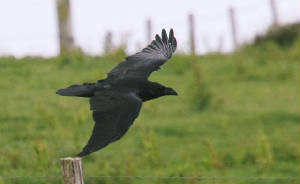 MID WATERFORD: Family group of 5 Buzzards. 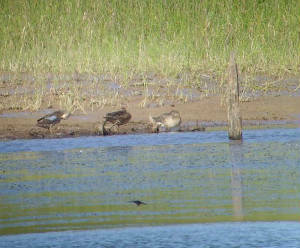 KNOCKADERRY RESERVOIR: 2 female or immature BLUE-WINGED TEAL still present on the small lake. DUNGARVAN TOWN: Crossbill by pumphouse at Silversprings, behind Nissan garage. 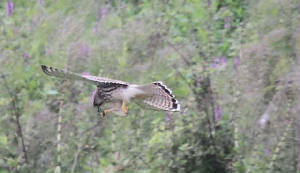 MID WATERFORD: 2 Buzzards (separate locations). 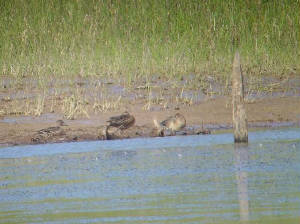 KNOCKADERRY RESERVOIR: 2 female or immature BLUE-WINGED TEAL (presumably including yesterday's bird from Ballyshunnock). BROWNSTOWN HEAD: Juvenile BARRED WARBLER still present, also Grasshopper Warbler, Spotted Flycatcher, 2 Blackcaps, 7+ Chiffchaffs, 35+ Lesser Redpoll (28 ringed) & an early Fieldfare. TRAMORE BACKSTRAND: Pink-footed Goose at Lisselan, 60+ Brent Geese off Saleen. 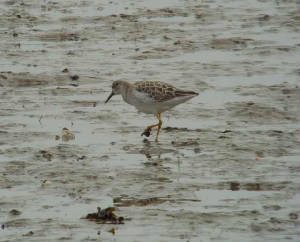 DUNGARVAN: Adult Ruff at Ballyneety. 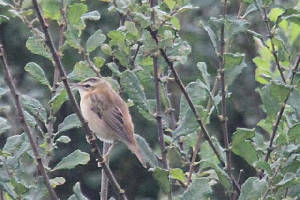 CALISO BAY: Whinchat & female Blackcap. 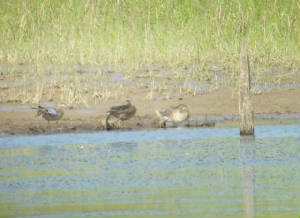 BALLYSHUNNOCK RESERVOIR: Female or immature BLUE-WINGED TEAL (2nd county record). 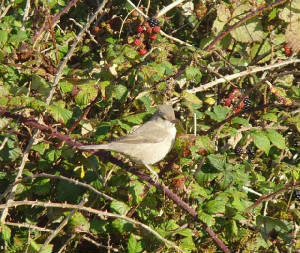 BROWNSTOWN HEAD: Juvenile BARRED WARBLER (5th or 6th county record), Spotted Flycatcher, female Blackcap, 10+ Wheatears & 2 Tree Sparrows. Nr WATERFORD CITY: Green Sandpiper heard regularly at night recently at Ballycanvan. TRAMORE BACKSTRAND: Pink-footed Goose, 95+ Brent Geese & 270 Mallard at Lisselan. DUNGARVAN: 3 Ruff (adult & 2 juveniles), Curlew Sandpiper & Green Sandpiper at Ballyneety, Kingfisher at Killongford. RAM HEAD: 2 Fin Whales, Minke Whale, 40 Common Dolphins, 6 Bottlenose Dolphins & 5 Porpoises - see IWDG website. TRAMORE BACKSTRAND: Pink-footed Goose again at Lisselan. 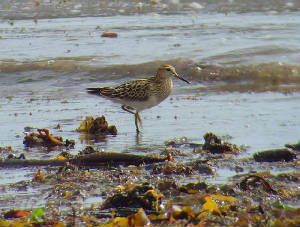 CLONEA STRAND: Juvenile Ruff at Ballinclamper. 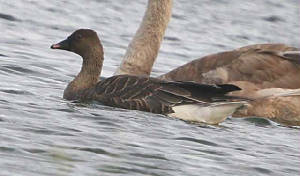 TRAMORE BACKSTRAND: Pink-footed Goose at Lisselan, on pool behind seawall. CLONEA STRAND: Juvenile Black Tern (flew west offshore), adult Mediterranean Gull & >1000 Black-headed Gulls at Ballinclamper. ARDMORE: 3 adult Mediterranean Gulls. WHITING BAY: 2nd-calendar-yr Glaucous Gull. FERRY POINT: Immature Glaucous Gull (apparently same bird). 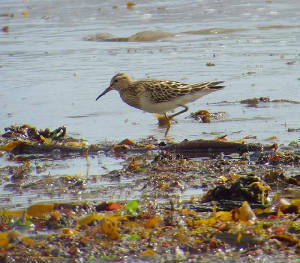 CLONEA STRAND: Curlew Sandpiper, 4 Arctic Terns & c25 White Wagtails at Ballinclamper. 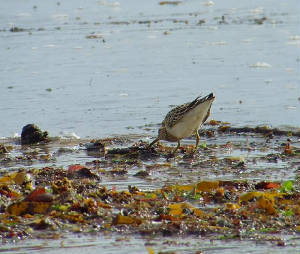 WHITING BAY: Juvenile PECTORAL SANDPIPER still present at west end. HELVICK HEAD: 32 Great Skuas, juvenile Pomarine Skua, 3 Arctic Skuas, a Balearic Shearwater & 4 Bottlenose Dolphins (seawatches 10;20-11:20 & 17:45-19:15). 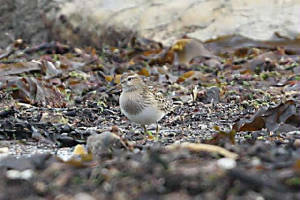 DUNGARVAN: 6 Curlew Sandpipers at Killongford. BROWNSTOWN HEAD: Balearic Shearwater, Sooty Shearwater, 7 Great Skuas & 3 Arctic Skuas west (seawatch 07:50-10:50 & 11:05-12:05). 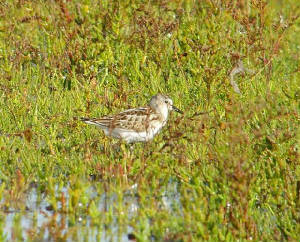 WHITING BAY: Juvenile PECTORAL SANDPIPER, also an adult Mediterranean Gull. 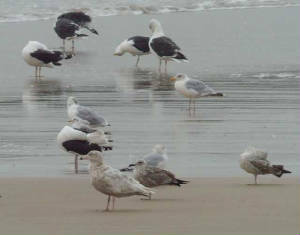 HELVICK HEAD: Adult Yellow-legged Gull. Great Skua (east & west), & an adult Red-throated Diver west. DUNGARVAN: Juv Curlew Sandpiper at Killongford, adult Mediterranean Gull at Ballyneety. 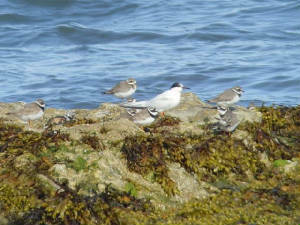 CLONEA STRAND: 15 White Wagtails at Ballinclamper. HELVICK HEAD: 5 Arctic Skuas. 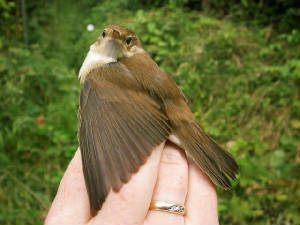 DUNGARVAN: A late Swift at Abbeyside. HELVICK HEAD: Pomarine Skua, Arctic Skua, 2 Great Skuas, adult summer Red-throated Diver & 2 juvenile Arctic Terns. 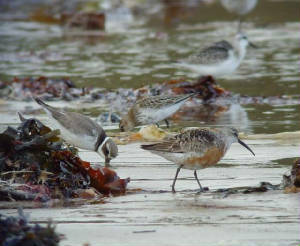 CLONEA STRAND: Juvenile Curlew Sandpiper & c60 White Wagtails at Ballinard. 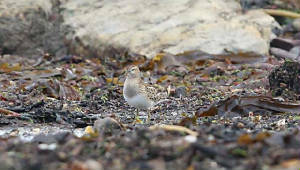 CLONEA STRAND: 2 juvenile Curlew Sandpipers at Ballinclamper. Nr YOUGHAL BRIDGE: Glaucous Gull. 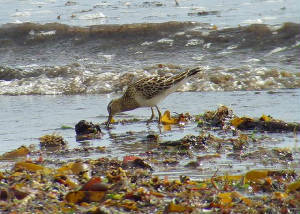 WHITING BAY: Juvenile PECTORAL SANDPIPER still present, also a juv Curlew Sandpiper. ARDMORE: 5 Mediterranean Gulls (4 adults & a 1st-winter ); 6 Bottlenose Dolphins (5 adults 7 a calf) in Ardmore Bay. DUNGARVAN: Juvenile Curlew Sandpiper at Barnawee, adult Mediterranean Gull at the Cunnigar. 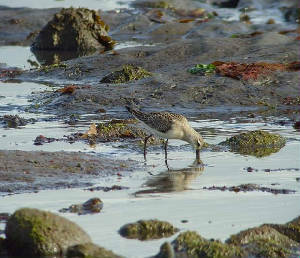 CLONEA STRAND: 4 juv Curlew Sandpipers at Ballinclamper. 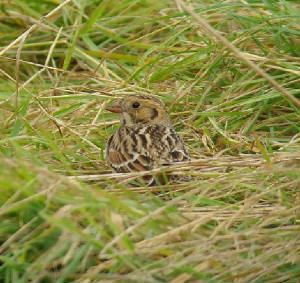 WHITING BAY: Juvenile PECTORAL SANDPIPER, Wood Sandpiper & 2 Whinchats. DUNGARVAN: 3 juvenile Little Stints, 20+ Curlew Sandpipers & a juv Mediterranean Gull at the Cunnigar; 2 Ruffs, 5 Curlew Sandpipers & a 2nd-summer Mediterranean Gull at Killongford. 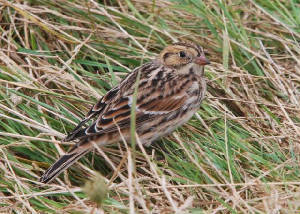 CLONEA STRAND: Juvenile Curlew Sandpiper, 2 adult Mediterranean Gulls & many White Wagtails at Ballinclamper. ARDMORE: 7 Mediterranean Gulls at Curragh beach. CLONEA STRAND: 3 Black Terns & 4 Mediterranean Gulls at Ballinclamper. 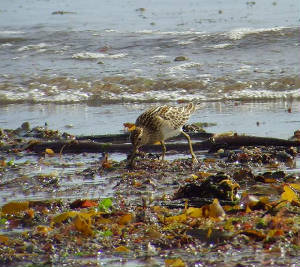 DUNGARVAN: 5 Curlew Sandpipers at Killongford. WHITING BAY: Wood Sandpiper, Whinchat & adult Mediterranean Gull. ARDMORE: 5 Curlew Sandpipers & 4 Mediterranean Gulls (2 adult & 2 2nd-summer) at Curragh beach. DUNGARVAN: 2 SPOONBILLS & 7 Curlew Sandpipers at the Cunnigar. CLONEA STRAND: Whinchat, 2 Curlew Sandpipers, & adult Mediterranean Gull at Ballinclamper, 2 Blackcaps along track between Ballinard & Ballinclamper. 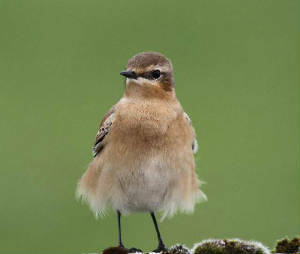 BROWNSTOWN HEAD: 3 Wheatears & 3 Willow/Chiffs. CLONEA STRAND: 2 juvenile Curlew Sandpipers, 2 Black Terns west & adult Mediterranean Gull at Ballinclamper. DUNGARVAN: Otter off the Anchor Bar. 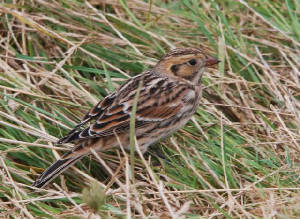 HELVICK HEAD: 7 Tree Sparrows. RAM HEAD: Minke Whale, Risso's Dolphin & 4 Bottlenose Dolphins. 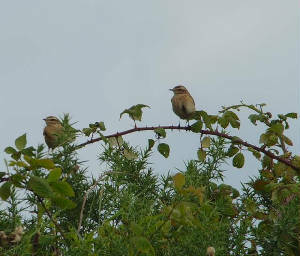 MINE HEAD: Lesser Whitethroat, 2 Sedge Warblers & 6 Wheatears. 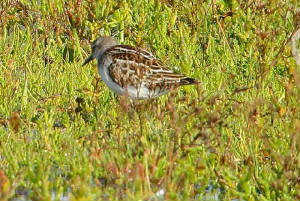 DUNGARVAN: 3 Little Stints, Ruff, 3 Curlew Sandpipers, 2 Kingfishers & a Water Rail at Killongford (MC, CXF, DC). BALLYNACOURTY POINT / BALLINARD: Roseate Tern, 4 Whimbrel & 35+ Wheatears. 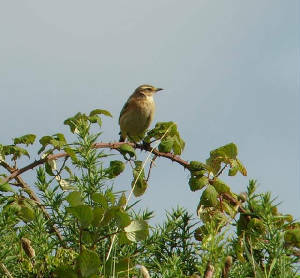 BROWNSTOWN HEAD: Lapland Bunting (tame individual suggestive of North American / Greenland race subcalcaratus), Lesser Whitethroat, 5 Whitethroats, 2 Reed Warblers (1 ringed), 3 Sedge Warblers, Willow Warbler, 8 + Chiffchaffs, Wheatear & Spotted Flycatcher. DUNGARVAN: Female Gadwall at Ballyneety. WHITING BAY: 2nd-summer Mediterranean Gull. 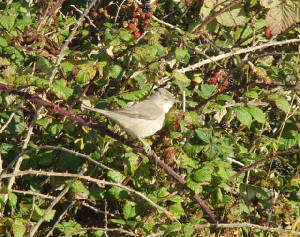 ARDMORE: Adult Mediterranean Gull, a late Swift, Blackcap, 2 Whitethroats & a Spotted Flycatcher. 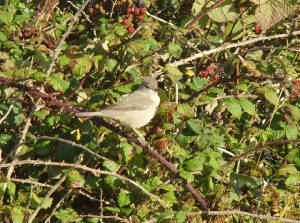 HELVICK HEAD: Spotted Flycatcher & a Clouded Yellow butterfly. 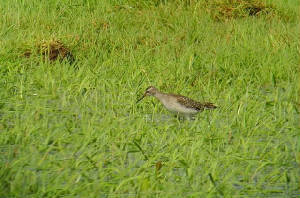 DUNGARVAN: 4 juvenile Curlew Sandpipers at Killongford, Brent Goose at Ballynagaul. CLONEA STRAND: 6+ Roseate Terns (4 adult, 2 juv), 2 juv Arctic Terns & 20+ White Wagtails, 2 Arctic Skuas west & a Balearic Shearwater on sea at Ballinclamper. 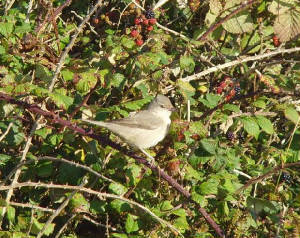 SEAFIELD (nr Bunmahon): 2 White Wagtails. 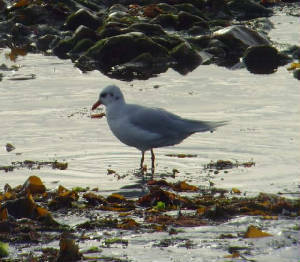 TRAMORE TOWN: Adult Mediterranean Gull near the prom; Convolvulus Hawk-moth (also 5 & 6 Sept) & Delicate. 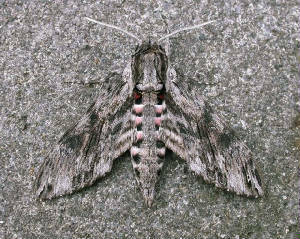 BROWNSTOWN HEAD: Turtle Dove, Whitethroat & 3-4 Chiffchaffs; 5 Common Scoter east & 3 Great Skuas west (2 east); Convolvulus Hawk-moth caught tonight. 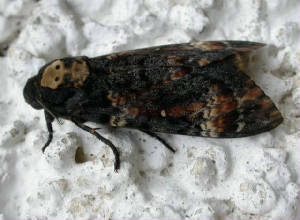 BROWNSTOWN HEAD: A Death's-head Hawk-moth caught tonight. CLONEA STRAND: Arctic Skua , 4 Arctic Terns & 2 Mediterranean Gulls (2nd-summer & adult or 2nd-s) at Ballinclamper. DUNGARVAN: Male Common Scoter at Cunnigar point. 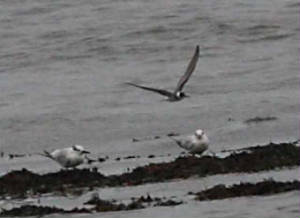 CLONEA STRAND: 4 Roseate Terns (2 adults & 2 juveniles) & 2 juvenile Arctic Terns. 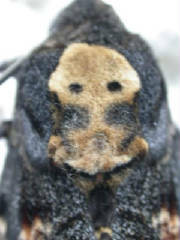 KNOCKANORE: Death's-head Hawk-moth found at an apiary. 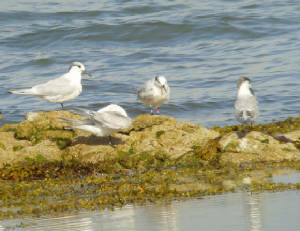 CLONEA STRAND: Adult & juvenile Roseate Tern & 2 juvenile Arctic Terns.